John Muir Trail: Christmas Presents for Backpackers! Browse: Home » John Muir Trail: Christmas Presents for Backpackers! Christmas is coming and many of us probably have a backpacker on our list. In the next few posts I’ll make some suggestions, at a variety of prices, on what to stuff in your hiker’s stocking. The links are mostly to Amazon, which may not be the cheapest, but gets high marks for reliability. 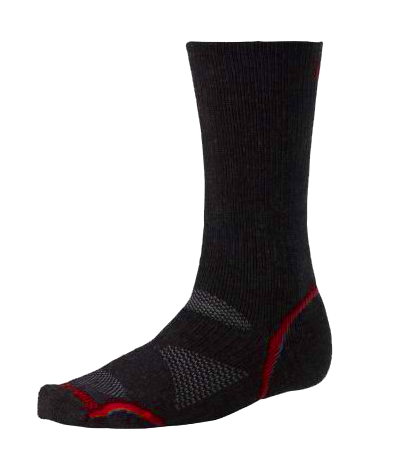 Smartwool Socks. What if you hired a team of engineers, podiatrists and designers and turned them loose on something as banal as the sock. 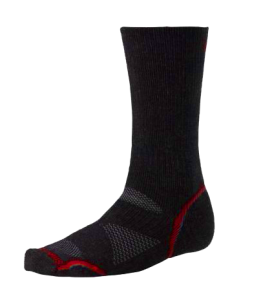 You would probably get something very much like the “Smartwool Men PhD Outdoor Heavy Crew Sock.” For big guys, like me, this is about as good as it gets. BackpackingLight.com Subscription. This is possibly the most comprehensive backpacking website out there. Gear reviews, trip reports, interviews, even a whole section on MYOG. (For the uninitiated, that’s make-your-own-gear.) And when I say “comprehensive”, I don’t mean a mile wide and an inch deep. I mean a mile wide and two miles deep. Petzl E91 Tikkina 2 Headlamp. There are more expensive headlamps out there, and I may suggest one later, but for a basic model the Petzl has the four characteristics I demand: enough light to allow me to hike after dark, a switch that is difficult to accidentally engage, durability, and AAA batteries as its power source, not some little watch battery that I’ll lose in my backpack. If you have an idea that comes in around $25, include it in the comments. Next time around, good stuff for nearer $100.